Home / News / Slider / Sports / Ac Milan and Great Eagles are Champions in the Top 8 of Tamale Metro Juvenile Football Tournament. 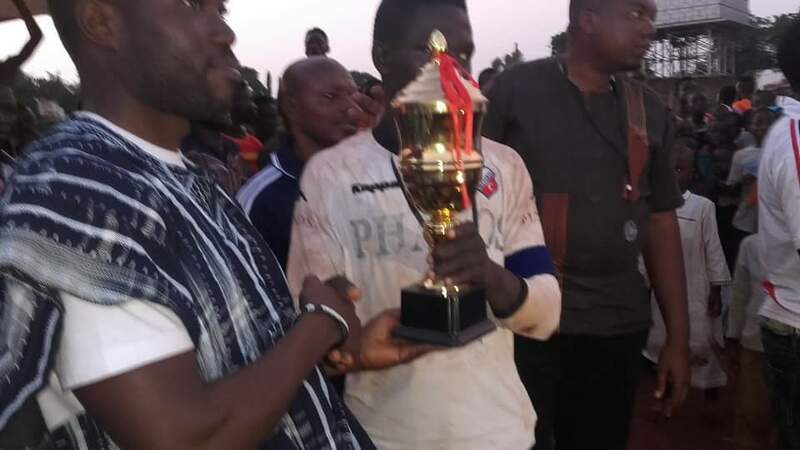 Ac Milan and Great Eagles are Champions in the Top 8 of Tamale Metro Juvenile Football Tournament. Ac Milan and Great Eagles are Champions in the Top 8 of Tamale Juvenile football sponsored by Alive and Kicking.Ac Milan became the Under 15 Champions after beating United Babies 8 - 7 on penalties after a goalless draw within the normal time.Great Eagles also beat United Babies 2 - 0 to win the Under 13 Top 8 trophy.Alive and Kicking Top 8 started on 7th to 8th October 2017,at the Tamale Kalaadan Park. Award:Five exercise books and a football. Award:Ten exercise books and a football.